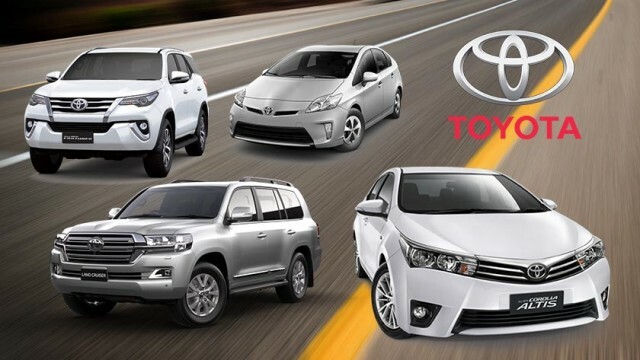 As one of the leading automaker in the country, Toyota IMC has always amazed its consumers with offering a variety of vehicles. And now to amaze everyone even further, the company is all set to launch Toyota Fortuner with a diesel engine. A diesel variant for Toyota Fortuner is nothing new, as this vehicle has been offered with diesel engines in India, Colombia, and Philippine. However, it is not yet confirmed that with what engine capacity the Diesel Fortuner will come. We guess that it will come with 1KD-FTV 3.0L engine capacity (Like Hilux Revo) which is an older version of Toyota’s engine line. However, it is possible that it might come in a 1GD-FTV 2.8-litre diesel engine which is a new engine line of Toyota launched in 2015. It is pertinent to mention here that 1GD-FTV 2.8-litre diesel engine has less compression ratio than 1KD-FTV 3.0L engine. GD’s compression ratio is 15.6 while KD’s stands at 17.9. Moreover, the horsepower of GD is 175@3400 rpm, and KD has 172@3400 rpm. The most important thing is the difference in torque between both engines, GD house 450N@1400 while the KD variant pack 352N@1400. According to our sources, the new diesel Fortuner will hit the market in next few months. Currently, in Pakistan, the Fortuner which is being sold comes in 2TR – FE Petrol Engine. The company launched the petrol variant in 2012. Moving onward, the company is launching a diesel Fortuner due to growth in the local automobile industry, which has led to an exponential demand, and the requirement for a locally manufactured -diesel- 4×4 has grown alongside it. Furthermore, the global game changer CPEC is also underway, and people need resilient and durable automotive to transport their goods and everyone knows how handy and sporty Toyota Fortuner is, both in terms of durability and resilience. Toyota IMC has almost 28% market share in the new car market of Pakistan, and now with this diesel vehicle, the company might grab more space in the local market. Local enthusiasts will finally be able to breathe a sigh of relief on the comeback of diesel vehicles.